Last month, a federal trial court in New Jersey shot down an insurer’s arguments that it had unambiguously denied coverage for Superstorm Sandy damage in a letter to the insured. In Liguori v. Certain Underwriters at Lloyds, 2015WL 4402851. 2015 U.S. Dist. LEXIS 93090 (D.N.J., Jul. 17, 2015), the judge found that correspondence announcing that the carrier was “pleased to inform you” that wind damage was covered while flood was “expressly excluded” and concluding with what he called an “open-ended statement that the letter could be amended should new information become available” simply did not pass muster as a formal denial. The insureds owned a home in Seaside Heights that was demolished by the storm on October 29, 2012, and they filed a claim for “storm damages.” Their homeowners carrier had the property inspected by an engineer, and he concluded that while wind had caused some damage to the structure, its loss was primarily attributable to storm surge and flooding. We are pleased to inform you damages resulting from wind are covered under your Property Insurance Policy. Our inspection revealed damages to your property. We enclose our estimate of repair which totals $___. After the recoverable depreciation in the amount of $___ and your wind deductible of $___ has been applied, this renders a net claim of $___. Under separate cover a check of $___ will be forwarded to the policy address. There was apparently little additional adjustment activity thereafter, and the policyholders eventually filed suit on August 21, 2014. The insurer responded by filing a motion for summary judgment because the contract of insurance required that suit be brought within one year of the loss. Under New Jersey case law, this one-year statute of limitations is tolled from the date of notice until the date when the carrier “formally denies coverage,” but the insureds’ lawsuit was filed 19 months after the February 25th letter. The issue before Judge Robert Kugler was whether the carrier’s letter was an unambiguous formal denial that ended the tolling period. On July 17th, he announced that it was not and denied the motion. First, the court noted that the letter began by informing the policyholders that the contract of insurance covered wind damage. Dollar amounts of the estimates of the total damages Plaintiffs would receive were left blank but the letter did state that Defendant’s inspection revealed wind damage to Plaintiffs’ property. Based on a reasonable reading of the language, it would appear that Plaintiffs were to receive some money for the wind damage to their property. From Defendant’s perspective, this paragraph is at best ambiguous and is at worst an agreement to pay Plaintiffs’ wind damage claim. In other words, the Court cannot find that there was unequivocal “denial language” in the February 25 letter with regard to any wind damage covered under Plaintiffs’ policy. In addition, the court looked at the fact that the carrier had reserved the right to amend or supplement its position if new information warranted such a step. As Judge Kugler explained, the insureds “might reasonably wonder why new information could become relevant in the future if the denial was final” on December 25th. The court found that this was further evidence that the letter was ambiguous in nature. There are obviously several takeaways. One is not to use a form letter — the court called it “boilerplate” — without modifying it to meet the circumstances; the “$___” references should have been excised. A second is that it really isn’t feasible to deny part of the claim while announcing that there’s an undetermined amount of coverage for the rest; once it has been concluded that there is indeed coverage for at least a portion of the loss, adjustment activities should continue until that has been quantified and paid. Finally, the concluding paragraph to such a letter should not contain any open-ended undertakings about revisiting the denial. I prefer formulations: (1) that quote the policy’s suit limitation language; (2) that state that the insurer reserves all of its rights and defenses pursuant to and apart from any terms and conditions of the contract of insurance; and (3) that invite the insured to submit any additional data or information which he or she believes might impact upon the decision expressed in the letter without stating more. 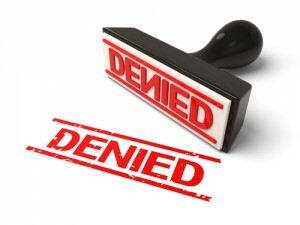 1 Pings/Trackbacks for "New Jersey Judge Writes a Primer on How Not to Draft a Denial Letter"